I write novels about finding adventure on the open road. When I’m not writing, I teach Creative Writing and host a podcast on the craft and techniques of fiction and creative nonfiction. 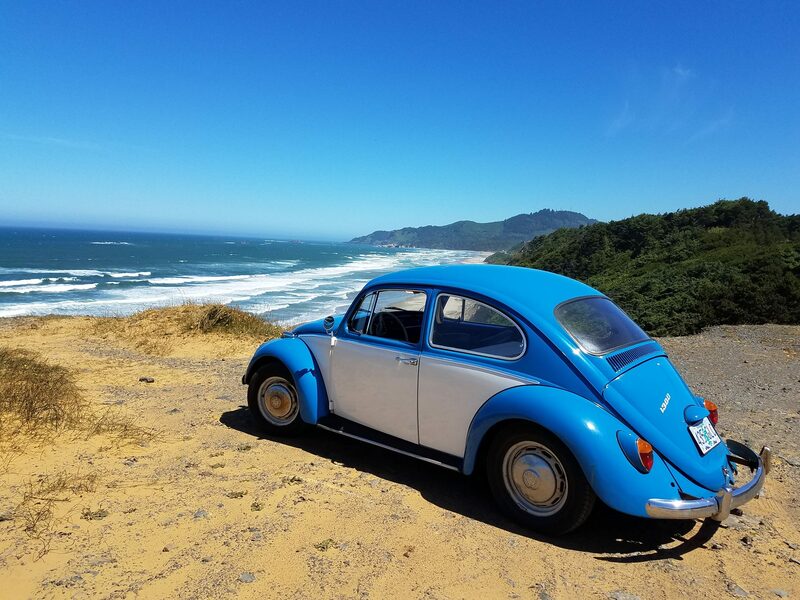 When he’s not hosting the Inside Creative Writing Podcast or writing novels about hitting the open road, Brad Reed is teaching English and Creative Writing on the beautiful Oregon Coast. He has previously self-published two books and is working on his third for which he is seeking traditional publishing. He also occasionally writes screenplays, poetry, and short stories. He is a married father of three adult children and loves writing, reading, teaching, driving old VWs, cheering on the Portland Timbers soccer team and the Boise State Broncos football team, and exploring the beauty of the Pacific coast. I started out in Eastern Oregon, spent most of my life in and around the Boise, Idaho area, and have now firmly grown roots on the beautiful Oregon Coast. I went to three different high schools and wouldn’t wish the experience on anyone. I was raised in a very conservative religion, left it for a different brand of conservative religion, and would now describe my belief system as something like agnostic atheism. Because my religious journey has been such a large part of my life, the exploration of religious themes often bleeds into my writing. Brad is my real first name, but Reed is not my real last name. It is my middle name. I’ve chosen to use Brad Reed as my pen name because it’s short, easy to remember, simple to spell, and I like the play on words (Reed=Read). Want to know my real last name? Poke around the site a bit. It shouldn’t be too hard to discover. I’ve always felt the pull of adventure, the call of the open road. I’m fascinated by how the road changes people and allows them to discover who they really are apart from the hectic work-a-day world. Sometimes we make the choice to leave the security of our normal lives to seek out an adventure, but sometimes we are thrown headlong into it against our will. Either way, the road changes us. We never come home the same person we were when we left. Other Than Writing, What Are You Passionate About? First and foremost, my wife and kids. After that, in no particular order: reading great books, driving aircooled vintage Volkswagens, cheering on the Portland Timbers soccer team, rooting for the Boise State Broncos football team, exploring the breathtaking Oregon Coast, watching gray whales bubble up from the murky deep, practicing mindfulness meditation, fighting the influence of destructive dogma, and occasionally writing a song or two. Would You Rather Have Fingers As Long As Your Legs or Legs as Short as Your Fingers? First of all, thanks to my Creative Writing students for coming up with such a thoughtful QuickWrite question. After a lot of thought and introspection, I’ve got to go with “fingers as long as my legs.” Sure, I’d have to give up playing the guitar, but I was never that good at it anyway. That’s a small tradeoff for not needing to get off the couch to grab the remote when it hits the floor.